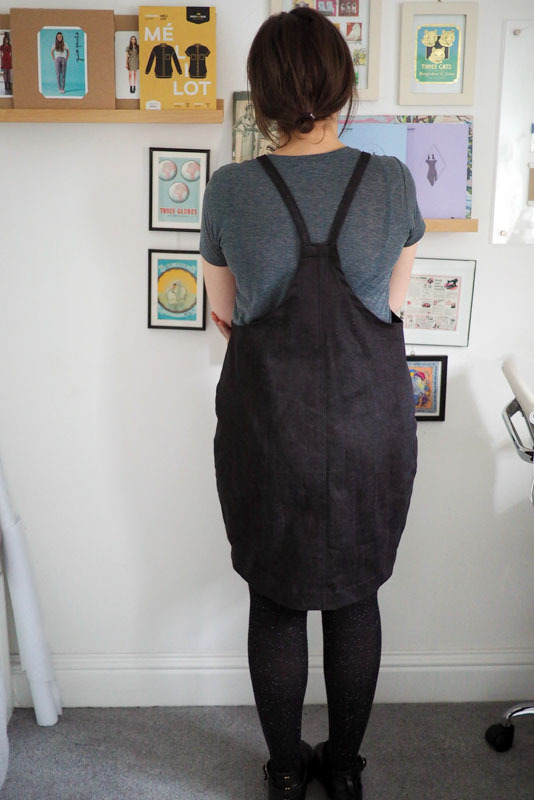 I love your pinafore! Agree though that winter sewing is hard, I always struggle with it. Hope you can overcome the sewing slump soon enough. 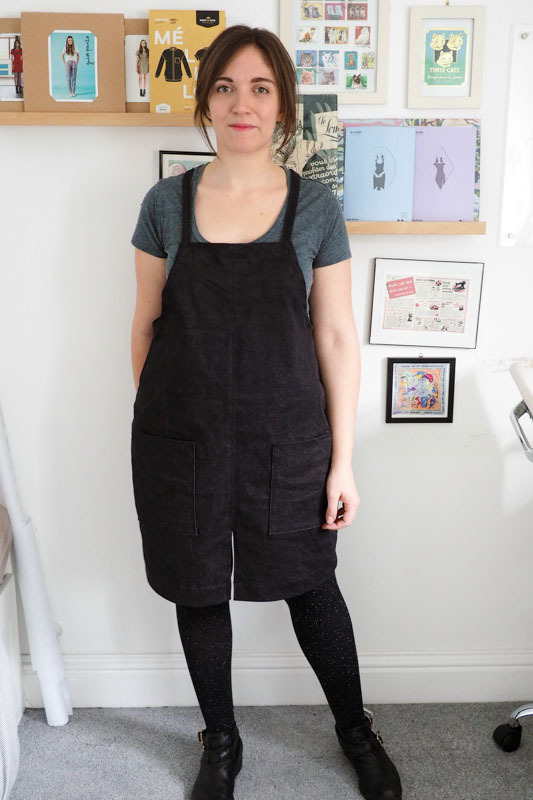 Too right – sewing in winter is hard. I’ve been peering at rolled hems all evening and I can hardly see what I’m doing. Plus, I’m making something that I probably won’t wear for months as it is a lightweight piece and it is so cold at the moment. Sigh! I hope you get your sewing mojo back soon. That trip to Mexico sounds lovely. Oh yeah, the lack of light is a big issue too. Very excited for some sun in Mexico! 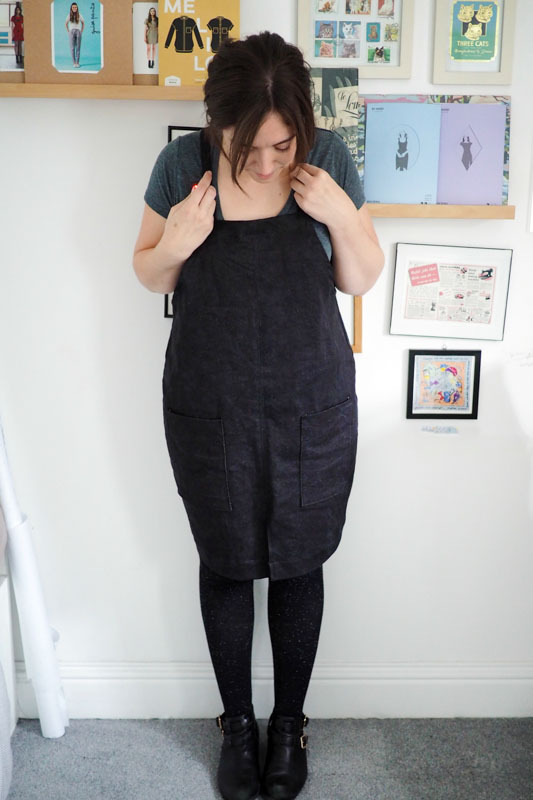 This pinafore is cute! I love it! Congratulations! I love the straps and the cocoon shape gives to it a different touch, good idea! I am working now in one more classical than yours but I think it will work. Black corduroy… So sad… But this is winter I am afraid! I agree with you… Summer…come back!! Thanks! I have some lovely black cord to make pants with, maybe I’ll do those next. I love the things you’ve been Pinning and sketching. This time of year is hard sewing wise. I love Autumn and cold crisp Winter days, but rain and wind, yuck! 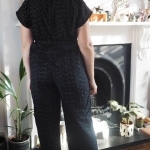 Winter sewing projects always seem much “bigger” to me, great if you really want to get your teeth into something, not so good if you’re struggling with motivation. 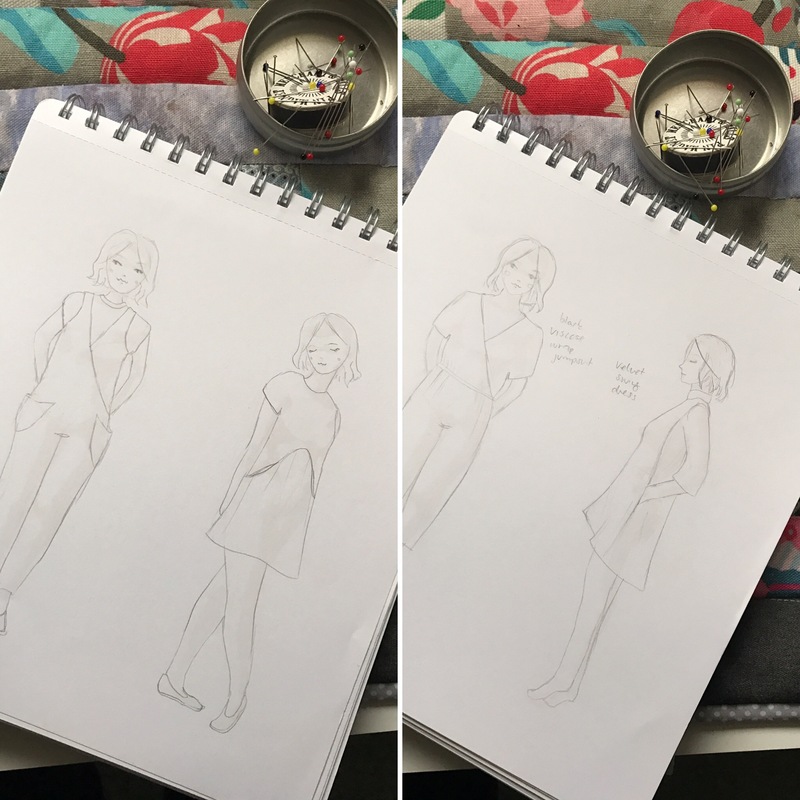 I’d say pick the simplest project that you have planned and your nicest fabric and ease yourself back into it with something that you really want to wear. Yes that’s very true, sewing a little summer dress has far fewer barriers! Great idea to keep it simple and use lovely fabrics for inspiration. In the Autumn I usually turn to crochet and in the Winter I do embroidery. 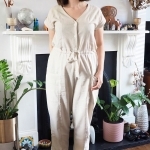 Sewing is much more of a Spring/Summer thing! Good idea – I used to knit but it seems so slow (and expensive) compared to sewing! Katie, look at Drops yarn on Wool Warehouse’s site and elsewhere. Its very reasonably priced and often reduced even further, and I can vouch for the quality of the several types I’ve used so far. Mexico sounds pretty fab – we’ve had the worst spring for over 50 years down here. Last week I was in my full winter woollies. Ghastly! On the subject of weird crease marks in denim – so frustrating! I’ve been told not to wash in detergent – have you ever heard that? Oh dear, hope it clears up soon. Mexico should be nice and warm. No I haven’t heard that but I will heed it in the future! Lack of light is a big factor, and warmth. 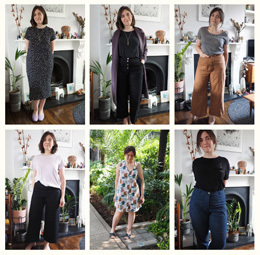 How to buy fabric that is warm enough to wear, suitable for winter, won’t break the bank etc. These all make winter sewing more precarious. 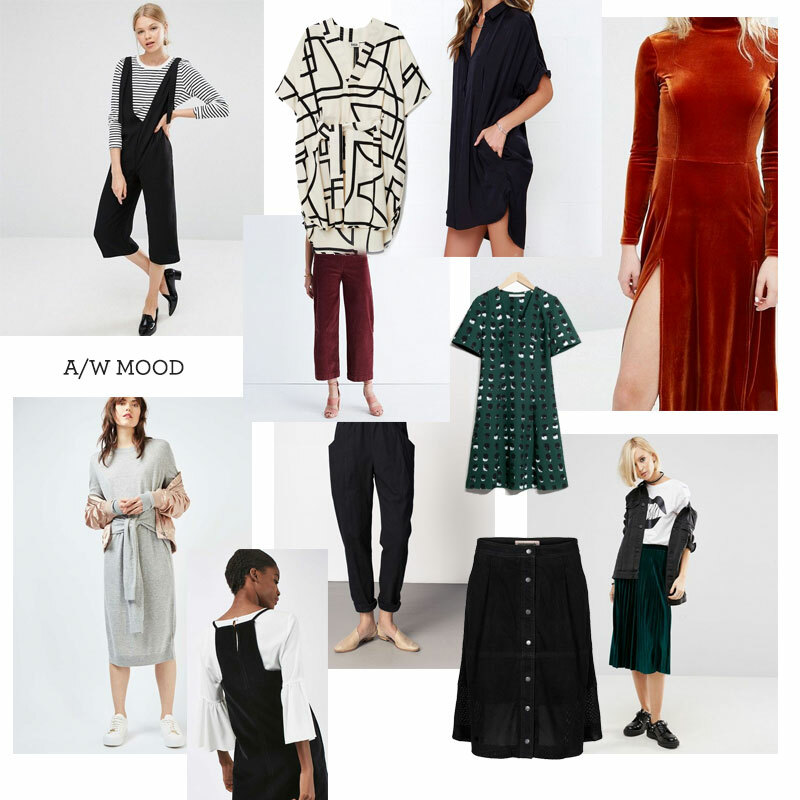 I’ve had a break but am also desperate to get motivated for some winter sewing. True! I might also try distressing the denim a bit so the wrinkles blend in. I LOVE this hack and will try something similar myself now I’ve seen what you’ve done! I too struggle in the winter, what with the lack of light – glad I’m not alone! 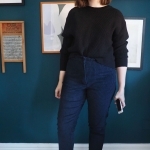 Wide leg velvet trousers sound stunning and a sweatshirt dress would be so cosy! This is really cute! At first I thought it was long shorts. I seem to have lots of sewjo, but no photography or blogging-jo. Ha ha!